This is a brief progress report from the Upgrades squad for the fast-forward upgrades (FFU) feature in TripleO, introducing N to Q upgrades. tl;dr Good initial progress, missed M2 goal of nv CI jobs, pushing on to M3. > upgrades is typically `3`. FWIW getting these initial changes merged would help avoid the current change storm every time this series is rebased to pick up upgrade or deploy related bug fixes. Also note that the demos currently use the raw Ansible playbooks stack outputs to run through the FFU tasks, upgrade tasks and deploy tasks. This is by no means what the final UX will be, with python-tripleoclient and workflow work to be completed ahead of M3. My thanks again to Sofer, Lukas, Marios, the rest of the upgrade squad and wider TripleO community for your guidance and patience when putting up with my constant inane questioning regarding FFU over the past few months! Update 04/12/17 : The initial deployment documented in this demo no longer works due to the removal of a number of plan migration steps that have now been promoted into the Queens repos. We are currently looking into ways to reintroduce these for use in master UC Newton OC FFU development deployments, until then anyone attempting to run through this demo should start with a Newton OC and UC before upgrading the UC to master. This is another TripleO fast-forward upgrade demo post, this time focusing on a basic stack of Keystone, Glance, Cinder, Neutron and Nova. At present there are several workarounds still required to allow the upgrade to complete, please see the workaround sections for more details. As with the original demo I’m still using tripleo-quickstart to deploy my initial environment, this time with 1 controller and 1 compute, with a Queens undercloud and Newton overcloud. In addition I’m also using a new general config to deploy a minimal control stack able to host Nova. At present we are waiting for a promotion of tripleo-common that includes various bugfixes when updating the overcloud stack, generating outputs etc. For the time being we can simply install directly from master to workaround these issues. Before running through any of the generated playbooks I personally like to add the profile_tasks callback to the callback_whitelist for Ansible within /etc/ansible/ansible.cfg. This provides timestamps during the playbook run and a summary of the slowest tasks at the end. # enable callback plugins, they can output to stdout but cannot be 'stdout' type. So in conclusion this demo takes a simple multi-host OpenStack deployment of Keystone, Glance, Cinder, Neutron and Nova from baremetal Newton to containerised Queens in ~26 minutes. There are many things still to resolve and validate with FFU but for now, ahead of M2 this is a pretty good start. 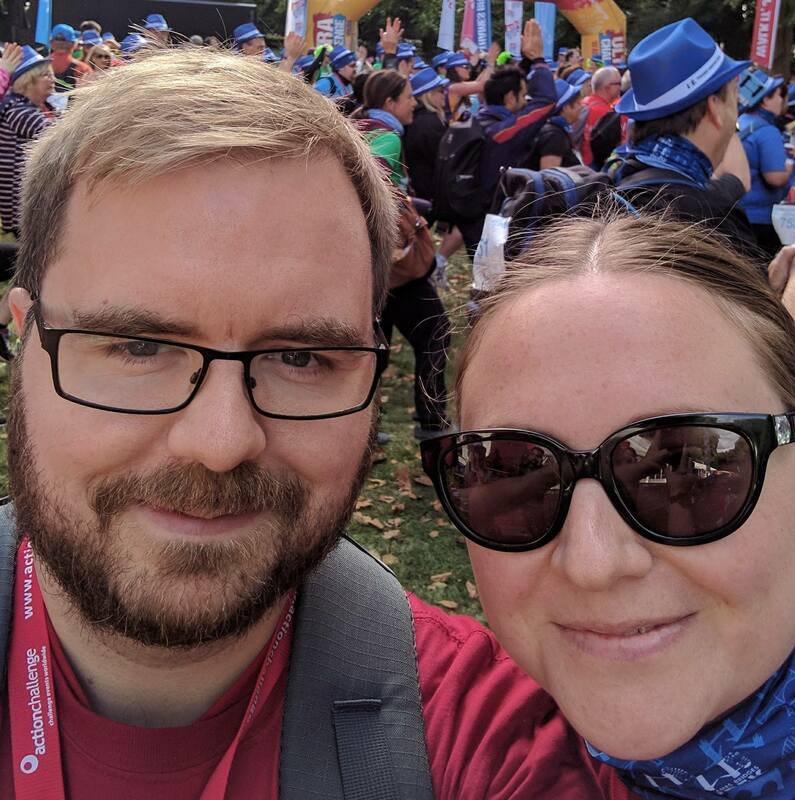 I know, I know, another post about our 16 bridges walk. We just received our certificate from Cardiomyopathy UK showing that we raised a grand total of £635.00. My thanks again to everyone who donated! Nope, anyone who donated is amazing, we just walked and talked for 5 hours around London! This post will be a living document where I will detail how TripleO developers can initially provision and iterate quickly while working on service upgrade tasks the new fast-forward upgrade feature for in TripleO Queens. This section details how to configure the initial environment with specific undercloud (UC) and overcloud (OC) versions and layouts using tripleo-quickstart. My thanks again to everyone who attended and contributed to the skip-level upgrades track over the first two days of last weeks PTG. I’ve included a short summary of our discussions below with a list of agreed actions for Queens at the end. During our first session we briefly discussed the history of the skip-level upgrades effort within the community and the various misunderstandings that have arisen from previous conversations around this topic at past events. We agreed that at present the only way to perform upgrades between N and N+>=2 releases of OpenStack was to upgrade linearly through each major release, without skipping between the starting and target release of the upgrade. The name skip-level upgrades has had an obvious role to play in the confusion here and as such the renaming of this effort was discussed at length. Various suggestions are listed on the pad but for the time being I’m going to stick with the basic fast-forward upgrades name (FFOU, OFF, BOFF, FFUD etc were all close behind). This removes any notion of releases being skipped and should hopefully avoid any further confusion in the future. Support by the projects for offline upgrades was then discussed with a recent Ironic issue highlighted as an example where projects have required services to run before the upgrade could be considered complete. The additional requirement of ensuring both workloads and the data plane remain active during the upgrade was also then discussed. It was agreed that both the supports-upgrades and supports-accessible-upgrades tags should be updated to reflect these requirements for fast-forward upgrades. In the afternoon we reviewed the current efforts within the community to implement fast-forward upgrades, covering TripleO, Charms (Juju) and openstack-ansible. While this was insightful to many in the room there didn’t appear to be any obvious areas of collaboration outside of sharing best practice and defining the high level flow of a fast-forward upgrade. It was highlighted that there are some serious as yet unresolved bugs in Nova regarding the live migration of instances using SR-IOV devices. This currently makes the moving of workloads either prior to or during the upgrade particularly difficult. We then revisited an idea from the first day of finding or creating a SIG for this effort to call home. It was highlighted that there was a suggestion in the packaging room to create a Deployment / Lifecycle SIG. 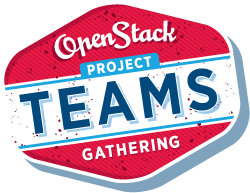 After speaking with a few individuals later in the week I’ve taken the action to reach out on the openstack-sigs mailing list for further input. Finally, during a brief discussion on ways we could collaborate and share tooling for fast-forward upgrades a new tool to migrate configuration files between N to N+>=2 releases was introduced. While interesting it was seen as a more generic utility that could also be used between N to N+1 upgrades. AFAIK the authors joined the Oslo room shortly after this session ended to gain more feedback from that team. I have yet to look into the formal process around making changes to these tags but I will aim to make a start ASAP. I failed to take down the names of some of the operators who were talking this through at the time. If they or anyone else is still interested in helping here please let me know! As discussed above this could be as part of the lifecycle SIG or an independent upgrades SIG. Expect a separate mail to the SIG list regarding this shortly. Unfortunately I will not be present in Sydney to lead a similar session. If anyone is interested in helping please feel free to respond here or reach out to me directly! A short reminder that I’ll be chairing the skip-level upgrades room at next week’s OpenStack PTG in Denver. So far ~15 of you have shown interest in this track on the etherpad so I’m looking forward to some useful discussions over the two days. For now we still have available slots so if you do have suggestions please feel free to add them directly on the pad! 10:00 - 10:30 - Retrospective of what was discussed in Boston, outcomes, etc. 10:30 - 11:00 - Have operator requirements changed since Boston? 14:00 - 16:00 - What efforts (if any) are underway to enable skip level upgrades within the community? 14:00 - 16:00 - How can we collaborate and share tools for skip level upgrades within the community? 16:00 - 18:00 - Should we think about a different way of releasing? Later in the week I will also be participating in the TripleO track, with a session on Thursday to discuss my WIP skip-level upgrade spec. I’ll be working on this during the week leading up to this session so feel free to review this ahead of time or just grab me in the hallway for a chat if this is something that interests you! I’ve been fortunate enough to be part of a team looking into skip level upgrades recently ahead of the start of the Queens development cycle for OpenStack. What follows is an introduction to the concept of skip level upgrades and an overview of our initial PoC work in this area. Future posts will also cover our plans for enabling skip level upgrades within TripleO and possible work with the wider community to enable this within other deployment tools. The requirement for this type of upgrade is driven by users looking to standardise on a given release (typically LTS), whilst retaining the ability to skip forward when the release hits EOL. This negates the need to keep up with the major release cycle that in the case of OpenStack continues to be every 6 months. It is worth highlighting that the topic of skip level upgrades is not new to the OpenStack community, with attempts to provide skip level upgrade functionality within the community before now, typically within the various deployment projects. For example openstack-ansible’s leap-upgrades project that attempted to move environments between Juno/Kilo and Newton. More recently the topic of skip level upgrades was discussed at the OpenStack Forum in Boston in May. A RFC thread was also posted to the development mailing list, however no formal actions came of either discussion. I’m looking to restart this discussion at the next PTG in Denver, more on that later. The data plane and workloads must remain available for the duration of the upgrade. With the requirements set out, our first real task was to prove that this was even possible with an OpenStack environment. Given the releases available at the time, we began by manually upgrading an existing Mitaka based RHOSP 9 environment running on RHEL 7.3 to our recently released Ocata based RHOSP 11 release running on RHEL 7.4. We were aware that whilst the goal of skip level upgrades is to give the impression of a single jump between releases, in practice this isn’t possible with OpenStack. Upgrades of OpenStack components are verified by the community across N to N+1 jumps, so whilst we wanted to skip ahead to Ocata we knew we would also have to upgrade through Newton to get there. Validate the post upgrade environment. Let’s take a look at each of these steps below in more detail. This initial rolling minor update moved hosts from RHEL 7.3 to RHEL 7.4 whilst also pulling in OVS from our RHOSP11 repos in a bid to limit the number of reboots required in the environment. In practise operators could perform this minor update well ahead of any skip level upgrade, reducing any impact on the overall time required for the upgrade itself. As listed above under requirements, a full control plane outage is accounted for during the skip level upgrade. Note that this does not include the infrastructure services providing the database, messaging queues etc. Compute services are also stopped at this time but should not have any impact on the running workloads and data plane. The main work of upgrading between releases is carried out on a single controller. Packages are updated, new services such as nova-placement are deployed as required, configuration files updated and DB migrations completed. This process is repeated on this host until we reach the target release. Once the single controller has been upgraded to our target release we then skip any remaining controllers ahead to this target release. Updating packages, introducing new services and updating configuration files on these controllers as required. This is then repeated for any remaining hosts, such as computes, object storage hosts etc. Again this should not interrupt running workloads or the data plane. Once all hosts are updated to the target release the control and compute services are restarted. During our PoC we ran multiple instances across various L2 and L3 networks, using Ansible to first launch and then later collect the results of asynchronous jobs (ping, ssh etc) that had been running between these instances during the upgrade. Finally Tempest was used to validate the end state of the environment post upgrade. After many iterations, the eventual introduction of Ansible to automate all the things and much cursing at the amount of time to reconfigure the environment after each run it was agreed that the team would move on to look into the possible implementation of the above in TripleO. Thanks for making it this far! Before I end this post I wanted to highlight that I’ve recently agreed to lead the skip level upgrades room at the upcoming Denver PTG. I’ll be posting more details on this shortly to the OpenStack development mailing list but wanted to take this opportunity to encourage anyone interested in this topic to attend and discuss possible ways we can make skip level upgrades a possibility across the various deployment tools within the community.